CSUN is utilizing methodologies from the Parkinsons Voice Project to help patients with Parkinson’s disease. More than 10 million people worldwide are living with Parkinson’s disease. In just the United States alone, combined costs of treatments are estimated to be nearly $25 billion a year, according to the Parkinson’s Foundation. 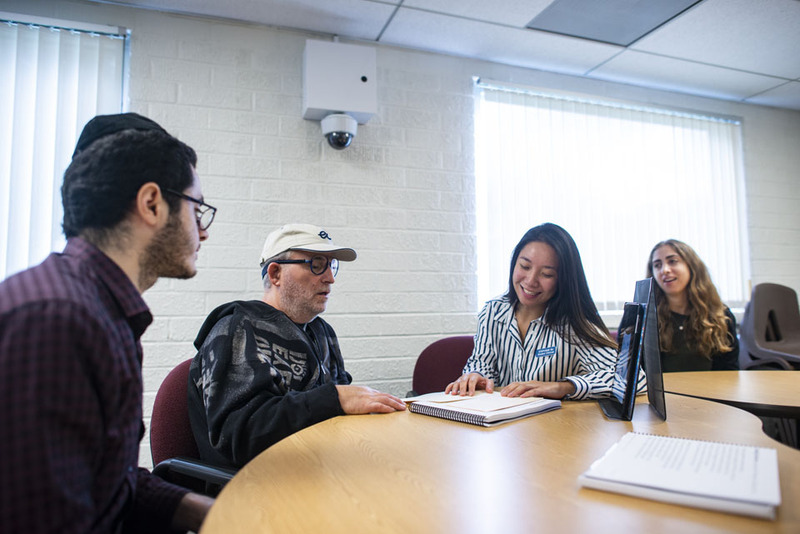 California State University, Northridge is now able to cut down on those costs — after receiving funding and instruction from the Parkinson Voice Project — by providing intensive speech therapy sessions for people with Parkinson’s disease, based on “pay-it-forward” donations. With support from the Parkinson Voice Project, a nationwide organization that helps persons with Parkinson’s disease preserve their voices, will allow CSUN’s Language, Speech and Hearing Center to help up to 12 patients every month. Its staff are trained and certified to run the Parkinson’s Voice Project program at CSUN, and to train students in the project’s methodology. The project was started in CSUN’s Department of Communication Disorders and Sciences in August. The treatment includes therapy, follow-up support, research, education and community awareness all while teaching the patients to “speak with intent” in order to improve their speaking abilities. Parkinson’s is typically diagnosed in patients older than 50 and is characterized by the loss of brain or spinal cord cells that leads to dysfunction and disability over time, according to the Parkinson’s Foundation. The Parkinson Voice Project incorporates therapy sessions called “SPEAK OUT” and follow-up sessions called “LOUD Crowd” to improve patients’ speaking abilities over time. Patients can use their insurance for the 12 SPEAK OUT sessions, but the LOUD Crowd is being initially funded by a grant from the Parkinson’s Voice Project. Future funding will come from grants and the pay-it-forward generosity and donations of the beneficiaries of the program. No one will ever be turned down for the maintenance LOUD Crowd group. This follow-up support is essential to the success of everyone who participates in this program, according to Woolsey. “In SPEAK OUT, we train people individually to get used to speaking loudly. People with Parkinson’s speak quieter and that becomes normal for them. The earlier we see a person with Parkinson’s Disease for this type of therapy, the better for the patient and the whole family,” said Woolsey. For more information on the Parkinson Voice Project visit: http://www.parkinsonvoiceproject.org/.